Pierre-Paul looking forward to being a Buc. Before you begin to pick apart his game. what he's lost and what he still has left, whether he will be. 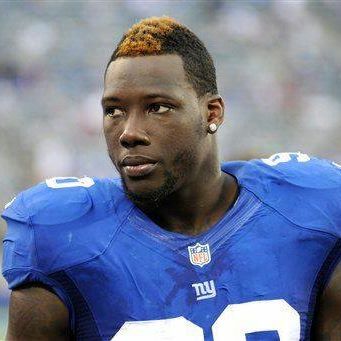 a star for the Bucs or something less, first be grateful for one thing about Jason Pierre-Paul. That, at least, is something. Across the NFL, there are stars sitting out the "mandatory" minicamps of rival teams. Aaron Donald isn't with the Rams. Khalil Mack is sitting it out with. the Raiders. Julio Jones and Earl Thomas and La'Veon Bell are AWOL from the Falcons, Seahawks and Steelers. So, yeah, it's nice that Pierre-Paul is taking part. After he sacrificed $250,000 to skip OTAs, it's at least a step. “I think that has to do with the position you play," Bucs' coach Dirk Koetter said about Pierre-Paul catching up. "Number one, the guy’s got experience and it’s not like he’s playing quarterback. So, it’s no big secret why he was brought here. He was brought here to rush the passer and he probably didn’t forget how. If he’s been working out like he says he has been, then I’m sure it’s going to pay off for us down the line." Koetter believes Pierre-Paul will help. Pierre-Paul said he had things to do that took precedence over the OTAs. "The offseason's been hectic, man, a lot of moving around and getting situated, but I'm here now," Pierre-Paul said. "A lot of moving around, bringing my stuff from Jersey, making sure my son's situated – that's basically it." Pierre-Paul has no doubt he'll be ready. "I'm a pro, man, so I'm going to get it right," Pierre-Paul said. "That's nothing. I'm a pro, that's how I go about it and I'm already catching on to a lot of things. It's just different terminology. That's basically it." And besides sacks? What does Pierre-Paul bring? "Effort, man," he said. "I think you start by effort and determination. Every guy has to be determined to win, to think of winning and putting in the work. I think if we put in the work we'll be fine." Pierre-Paul said he felt good to be back where he played his college football. "It feels like a dream," he said. "To be honest it feels like a dream, I'm still dreaming. Being in red, it's a big change in my career. It's been eight years with the Giants and now I'm here for Year Nine. It's a big change, but I'm ready and I'm up for it. I'm up for the change and I know I'm going to bring my best game and show those guys, too." Pierre-Paul said that Gerald McCoy is the leader on the defensive line. "That's a good question right there, man," Pierre-Paul said. "Obviously Gerald's been the guy here and I'm all for falling behind him, and we're going to do it together, man. I'm a guy, I don't really speak much. Everybody sees my effort and stuff from my play and my football game. I'm not a vocal leader, man. That's something I've never been, you just see it in my game, my effort." Pierre-Paul said his expectations were high. "The expectations, man, for every team is to win the Super Bowl, right?" Pierre-Paul said. "That's the expectations for basically every team. Every year you come in and you think you're going to do it, but the reality is, it's not like that. Like I said, it starts with hard work, dedication, communication. That's basically it, and being determined. It's not just saying it, it's actually doing it. It's something like coming in and Coach was just talking about respect and everything, how you should respect [everyone]. They had a team meeting [about] showing respect or whatever. Just listening – I've been with the Giants and I've been here, so just listening I can see that the guys are interacting and they're ready to go." Pierre-Paul took issue with those who said he hasn't been the same since a fireworks accident cost him fingers on a hand. "I think it's B.S.," Pierre-Paul said. "But, no, that's what challenges me. My obstacle in life, I overcame. Everybody has their own obstacles; mine was my injury and I overcame that. So nobody can say anything to put me down. As I see myself, I'm only going up. If people say I'm not the same or whatever, just wait and see, man. Every year's a different year." The Bucs haven't had a player with double-digit sacks since 2005. "We've just got to change that," Pierre-Paul said. "That's why it's a new team, everything. We've got to change that."